A 529 plan is a tax-advantaged savings plan designed to encourage saving for future college costs. These plans, legally known as “qualified tuition plans,” are sponsored by states, state agencies, or educational institutions, and are authorized by Section 529 of the Internal Revenue Code. There are two types of 529 plans: pre-paid tuition plans and college savings plans. All 50 states and the District of Columbia sponsor at least one type of 529 plan. In addition, a group of private colleges and universities sponsor a pre-paid tuition plan. College savings plans generally permit a college saver, also called the “account holder,” to establish an account for a student (the “beneficiary”) for the purpose of paying for the beneficiary’s eligible college expenses. 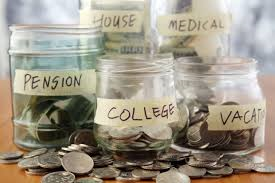 An account holder may typically choose among several investment options which often include stock mutual funds, bond mutual funds, and money market funds, as well as age-based portfolios that automatically shift toward a more conservative mix of investments as the beneficiary gets closer to college age. Withdrawals from college savings plans generally can be used at any college or university. Investments in college savings plans that invest in mutual funds are not guaranteed by state governments and are not federally insured. All plans cover tuition and mandatory fees only. Some plans allow you to purchase a room & board option or use excess tuition credits for other qualified expenses. Covers all "qualified higher education expenses," including: tuition, room & board, mandatory fees, books, and computers (if required). No state guarantee. Most investment options are subject to market risk. Your investment may make no profit or even decline in value. No age limits. Open to adults and children. Most state plans require either owner or beneficiary of plan to be a state resident. No residency requirement. However, nonresidents may only be able to purchase some plans through financial advisers or brokers. Most plans have limited enrollment period. Investing in a 529 plan may offer college savers special tax benefits. Earnings in 529 plans are not subject to federal tax, and in most cases, state tax, provided you use withdrawals for eligible college expenses, such as tuition and room and board. However, if you withdraw money from a 529 plan and do not use it for an eligible college expense, you generally will be subject to income tax and a 10% federal tax penalty on earnings. Many states offer state income tax or other benefits, such as matching grants, for investing in a 529 plan. But you may only be eligible for these benefits if you participate in a 529 plan sponsored by your state of residence. Just a few states allow residents to deduct contributions to any 529 plan from state income tax returns. Investing in a 529 plan generally will reduce a student’s eligibility to participate in need-based financial aid. Assets held in pre-paid tuition plans and college savings plans have been treated similarly for federal financial aid purposes since mid-2006. Both are treated as parental assets when calculating the expected family contribution toward college costs. It is important to understand the fees and expenses associated with 529 plans because they lower your returns. Fees and expenses will vary based on the type of plan. Prepaid tuition plans typically charge enrollment and administrative fees. In addition to “loads” for broker-sold plans, college savings plans may charge enrollment fees, annual maintenance fees, and asset management fees. Some of these fees are collected by the state sponsor of the plan, and some are collected by the financial services firms hired by the state sponsor to manage the 529 program. Some college savings plans will waive or reduce some of these fees if you maintain a large account balance, participate in an automatic contribution plan, or are a resident of the state sponsoring the 529 plan. The National Association of State Treasurers created the College Savings Plan Network, which provides links to most 529 plan websites.